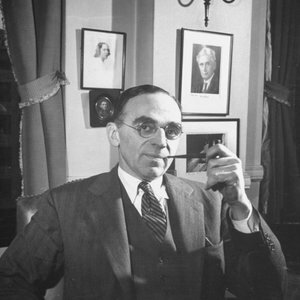 Morris L. Ernst (1888 – 1976) was a US lawyer and co-founder of the American Civil Liberties Union. He was born in Uniontown, Alabama, to a Czech-born father and German mother. He studied law at night at New York Law School where he graduated in 1912 and was admitted to the New York bar in 1913. In 1915 he co-founded the law firm of Greenbaum, Wolff & Ernst. In 1933, he was retained by Random House, to defend James Joyce’s Ulysses against obscenity charges.